The Bermuda Basketball Association’s Premier Basketball League is in full playoff mode. On Saturday night at Somersfield Academy Gymnasium, the Warwick Rim Rockers defeated the Hamilton Tsunamis 37-28. This means Rim Rockets are going to the semis and will dance on the hardwood with St. George’s International on Wednesday. While Bermuda basketball fans are eagerly waiting to see who will meet the Somerset Flyers in the finals, the college basketball world has tipped off into total madness! That’s right folks, the NCAA March Madness Tournament is officially under way. For NCAA Basketball fans, March Madness is a time when college basketball consumes every fibre of their being. This year, the hype is more intense as business mogul Warren Buffet has teamed up with Quicken Loans for the ultimate March Madness contest. One fan could win ONE BILLION DOLLARS if they enter the contest and have a perfect March Madness Bracket. The tournament started on Sunday on what is known as Selection Sunday, when all 68 teams competing are revealed. The first 32 teams receive automatic entry into the tournament by winning their conference tournament in the preceding days. The remaining 36 teams are selected by a committee made up of athletic directors and the conference commissioner. Teams not selected are not permitted to appeal and the selection committee decision is final. Once the teams were announced on Selection Sunday, all teams in the tournament are rated by seed and conference, which determines the initial bracket match-ups. This is when fans must fill out their brackets in this single elimination tournament, by selecting the winners per match-up from round one up to National Championship game. For some, completing their bracket will be the most important choices they make all year. Every fan is looking for the sleeper cell to help their bracket stand out from the crowd. 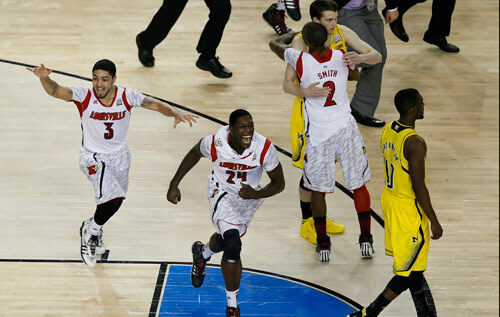 Many have opted to go underdogs all the way, while others believe the defending champions, Louisville Cardinals, will repeat. The Bleacher Report stated: “This year’s tourney seems even more open than in years past. While that may be true, the forerunners continue to be Duke, Kentucky, Kansas, Florida and Arizona to win the national title. But regardless how the scenario unfolds, the NCAA National Basketball Championship tournament will be dribbling with intrigue, excitement and exhilaration for the next 21 days. Let the Madness begin!